Everything you do over the internet is being monitored, believe it or not, your VPN provider can only do so much to keep your identity private. Many of us think that using a VPN will make you an anonymous ghost on the internet, and untraceable with the click of a button — you’ll be surprised by the fact that everything you’re being told by popular VPN companies is a lie. Yes, it is true that VPNs can hide you from direct tracking/tracing by analytic codes on websites, and it hardens the network security, but it has its limitation. When a VPN company claims that they can give a degree of anonymity and privacy that any VPN service is virtually incapable of, you’re better off without it. I was able to trace one such example few days ago, where I warned my VPN readers to immediately disable WebRTC on the web browser they’re using on the computer. Google Chrome is your privacy nightmare, because it doesn’t officially allow you to disable WebRTC feature on the browser, and third-party extensions/scripts are not trustworthy. If you are a privacy freak and a guy with ‘tin foil,’ I would immediately suggest you to start using Firefox and remove anything that says “Google” on your computer. Their products and user privacy are shady, and they became data hungry lately – so much for “Don’t be evil.” While there are no evidence or data to back up my opinions, but if you’re privacy freak, I would recommend to stay clear of Google. Let’s not make this article all about why you shouldn’t rely on VPN, rather we should focus on why we chose VyprVPN and recommending it to our readers. One of the most obvious reason would be the transparency in their terms of service, and trust me there are very few of them who do provide what’s been advertised. Almost all VPN providers would claim at some point that they are capable of providing 100% anonymous internet presence while keeping 0% user data on their server. When they have no control how a simple browser exploit can reveal original IP address, how come they claim to make anyone using their service 100% anonymous? – VyprVPN makes no such claim. We tested several other VPNs before, and none of them actually proved to be as robust, reliable and transparent as VyprVPN. During 1 months extensive test, we found some uniquely engineered features one can rely on. The features and state of reliability offered by VyprVPN might change over a period of time, and we can only vouch for the service offered during DigitFreak’s testing phase*. VyprVPN and its parent company GoldenFrog is not associated with DigitFreak and its services. This review is independent, and DigitFreak cannot be held responsible for any personal loss or influence of user decision to purchase their service. VyprVPN has incorporated an interesting business model, which allows you to start a free trial of any existing plans they offer. You’ll not find “buy now” button anywhere on their pricing model, rather there is a “Start Free Trial” option that allows you to test the service before making the purchase. However, due to spams and invalid attempts to use their service for free, they need you to attach a payment information during the signup, which includes credit card or Paypal account. It is little limited to the payment options, as you cannot pay by bitcoin, Alipay or any other third party payment gateway, which is little weird considering they have been targeting Chinese market with their proprietary Chameleon encryption technology. The company is offering a wide range of plans to choose, which includes – VyprVPN Free($0), Basic($6.67 to $9.99), Pro ($8.33 to $14.99) and Premier ($10 to $19.99) — which bends slightly toward the heavy budget for the premium service. We were surprised to see that Free plan is way better than their ‘VyprVPN Basic’ Plan, which only has an advantage of the unlimited bandwidth. If you don’t need high bandwidth, Free option is something that can help you stay anonymous, but again there are plenty of other Free VPNs available for casual users with minimum restrictions, and unlimited bandwidth. One reason you’d probably want to use “VyprVPN Free” plan is to test their service without revealing your credit card information. We wanted to test their service with full capability, hence, we registered a “VyprVPN Premier” test account. The only difference with their pro and premier plans is the number of concurrent devices you can simultaneously use on a single account. We filled the registration form with required information and credit card details, and before hitting the “start Free Trial” button we were informed that we’ll be charged US$119.99 if we fail to cancel our subscription within the trial period of 3 days. That’s fair, and it is a good thing that they are making it clear that we might get charged automatically if we don’t cancel the subscription. Golden Frog’s founders are Internet veterans who have owned and operated Internet businesses since the dawn of the public Internet in 1994. Although incorporated in Switzerland, Golden Frog, GmbH, is a global service provider committed to preserving an open and secure Internet experience while respecting user privacy throughout the world. VyprVPN is one of the few options available right now which has total control over their network; you can literally count the number of services that owns their own tier-1 network — Only other service that I personally know would be IPVanish. This means that no part of the service is outsourced to 3rd parties. Other VPN providers use 3rd parties to host their servers. Golden Frog even owns and operate their own DNS service, VyprDNS, to add further privacy and security for their users. Golden Frog offers a 100% private, no-logging DNS service to complement VyprVPN. VyprDNS is Golden Frog’s 100% owned and operated DNS service available exclusively for VyprVPN users. VyprVPN doesn’t only boast their Tier-1 network and fully private DNS service, but they also excel in server location availability and IP acquisition. This is something you won’t find by services provided by some of the best VPN service providers. Some VPN services limit user bandwidth, speed, and server switching. VyprVPN does not. Switching between server clusters is easy and effective with over 200,000 IP addresses for its users. It even has a Fastest Server setting so you can automatically be connected to the fastest server available for your location. At the time of Writing this review, VyprVPN offers servers in North America, Europe, Oceania, Central America, South America, Asia and Middle East. Logging and user data retention can be an issue for those who are involved in illegal activities, and VyprVPN does strictly follow DMCA notices. They claim not to disclose user information to the third party requests, how they do take actions to mitigate the crimes on their network by suspending or terminating the user account under the 3 strike rule. The software client of VyprVPN is easy to use, and mostly flawless on all platforms. We used it on 2 smartphones and a computer, running Android and Windows 10 respectively. We had few hiccups on Windows 10 powered device, which was quickly mitigated by the support team, more on in later. The software and mobile apps are streamlined, and you’d find similar options and UI experience on any platform you use it on. It is nice to see that they worked with the developer closely to make sure we get the same features and UI design on all platforms, which makes you feel at home anywhere you go. We had a little hiccup on both mobile and desktop software, as the connection was automatically dropped without any interference, but it was occasional and didn’t bother us much. Everything else worked as it should, and we couldn’t stress much to point out how much we loved their consistent cross-platform software and apps. While all of these features are amazing and really effective to ensure a good user experience, I would like to discuss some of them. 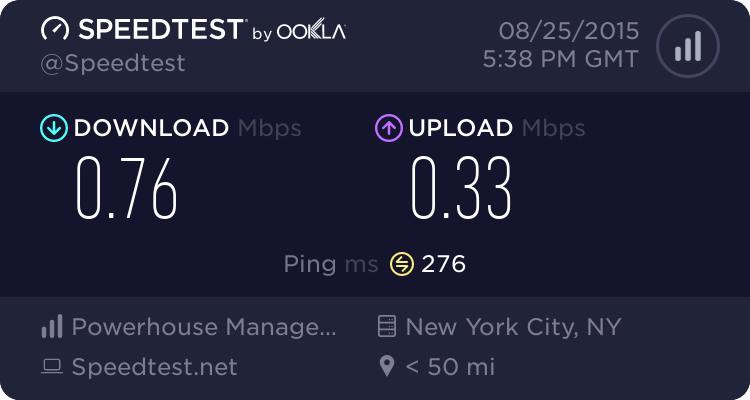 Usually, our internet connection works pretty solid and stable. However, you cannot deny the times when you loose the internet connection simply because your router would restart automatically, or someone turns it off unknowingly. It happens to best connections. Sometimes, we forget to turn on the VPN before surfing the internet and regret doing so when we finally realise that we have been sharing sensitive data without the protection. The ‘Kill Switch’ is a switch that automatically kills or blocks your internet connection whenever VyprVPN is disconnected. Except for network communications related to running VyprVPN services, Kill Switch will block all other Internet and network communications. The kill switch can be enabled in VyprVPN for Windows and Mac. VyprVPN offers multiple encryption protocols so one can choose their preferred level of encryption. Each of them varies according to their strength of security and interference with original internet speed. It includes OpenVPN, L2TP, PPTP and Chameleon (proprietary technology). Golden Frog doesn’t only boast their Tier-1 Network, but they also offer a private secure DNS server to protect from any DNS leaks and third party reliability. When you’re trusting them for your online security, then it only makes sense that you’d want a single company to handle all your traffic. If you don’t know what is DNS, simply head over to this wiki. In short, DNS (Domain Name System) is a service that translates hostnames (such as http://digitfreak.com) into computer-readable IP address (178.220.123.121), so your computer can communicate with the desired host. It is actually very effective since it protects you from DNS leak over the network. We had a positive test result, which showed VyprVPN is pretty solid service. VyprDNS is Golden Frog’s 100% owned and operated DNS service available exclusively for VyprVPN users. They developed a zero-knowledge VyprDNS service to increase user privacy and defeat censorship across the world. VyprDNS is built into VyprVPN and when you connect, you will automatically use VyprDNS. Please note, VyprDNS cannot be used separately from VyprVPN. GoldenFrog (The company that owns VyprVPN) maintains all their own server infrastructure and utilizes high-speed server clusters. The benefit of all this? Faster speeds and fewer dropped connections. Vypr is one of the fastest VPN’s we’ve tested. In fact, nearly all the servers we tested maxed out our ISP connection or revoked the throttles put by our ISP. It’s no wonder that VyprVPN made our list of the fastest VPN providers. If you have a faster internet connection than we do, you will actually experience faster speeds than our test shows. However, When connected to our local nearest server (India), we experience greater latency or ping time that we did with the USA or other server locations we tested, which is little weird as servers in India should’ve had better latency. Other than that, we could easily stream youtube videos and unblock geo-blocked websites without any hiccups. We were surprised too. 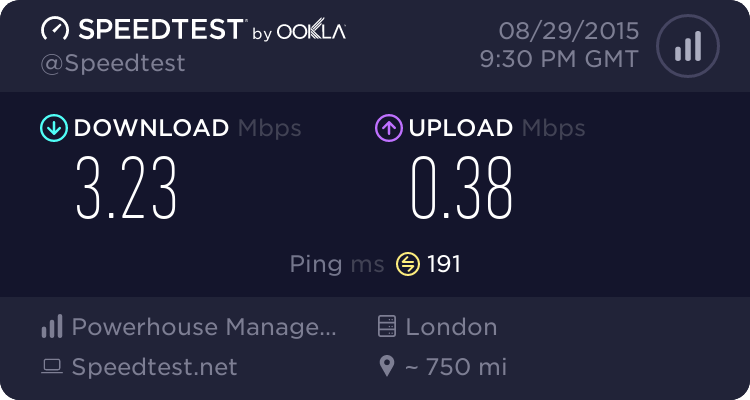 UK server test returned false speed test result, reporting higher download speed that our ISP’s restriction. 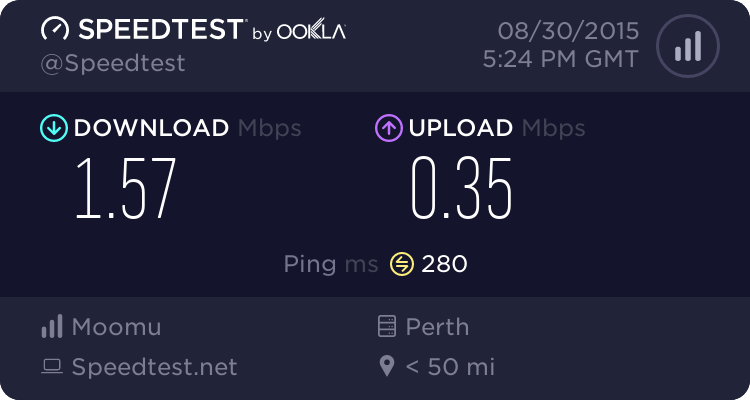 We did experience faster connections while connected to UK & Australia location. When these options were turned on, it would throw the error which reads “The VyprVPN Service could not be contacted. Would you like to attempt to start the service?” Even when we choose “Yes,” it didn’t work for several attempts before it would trigger the VyprVPN client. It interfered with our computer default functions, and it wouldn’t let our computer to shutdown. However, we were able to solve this issue by starting the VyprVpn service manually from “service manager,” but it wasn’t a proper solution. So we pinged the support team without letting them know that it can be easily fixed manually. It could be a great help for them as it would minimize the time required to pinpoint the cause of this error. We were expecting the delay in response, so the review team shifted the focus on different tasks. When we checked back after few hours, we were surprised to see a response from their side within 3 minutes of our query submission. They finally pinpoint the error, ensured us that they informed the developers and told us that we should expect the update within few days. We received the update after 2 days, and it solved the issue. 10/10 for support. VyprVPN is pretty reliable and professional service that will provide top-notch online security and premium quality if you can afford its above-average prices. Their Teir-1 network acquisition and a large number of shared IP address pool are going to capture a huge percentage of the VPN market because it ensures better internet speed than most of the competitor providers. We heard poor reviews about their support team, but we were satisfied with their pleasant customer support. Their limited payment method, keeping logs for a questionable period of time (30 days), DMCA compliance and geo-IP workaround keeps us from recommending it to everyone. However, they do certain things the way that no other competitor really does. The fact that VYPRVPN was recently elected the best VPN for France by VPNmag, just makes it superior to most of its competitors. The secure protocols, encryption levels, and additional service will keep your data safe and with a widespread server location, your identity will remain secure and private. If you need a VPN service provider that can keep you safe and secure while still delivering the actual Internet speed, you should definitely go for this service.